These look so good, hopefully, the e.coli crisis in Germany is over soon so I can buy berries and other fruit to make these again! We absolutely loved this tart!!! I’ll have to make it again when berry season is in full swing. My wife and I were just talking about all the other possible fruit combinations for this tart. 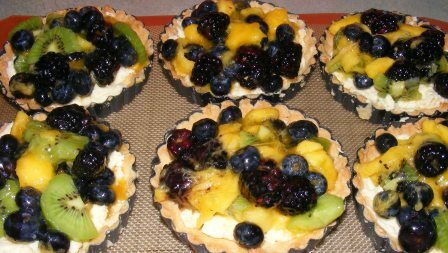 Waiting for good fruit myself to make these. Got the Kiwis, and the blueberries. Now waiting for good strawberries, etc. 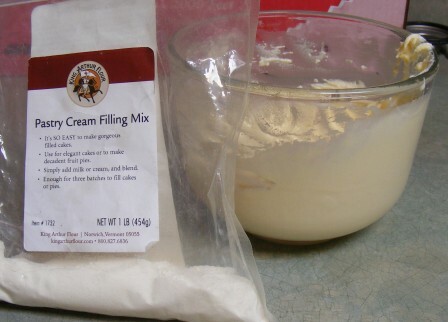 pastry cream mix. Who Knew!! 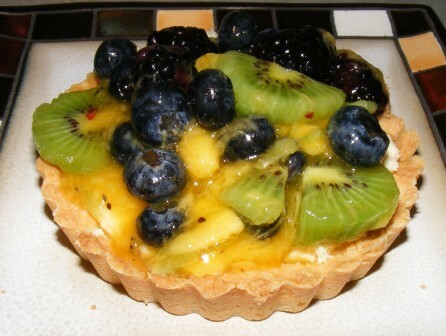 Love fruit tarts. Want one of yours!! Thanks, Margaret. I can’t wait to make more of these. Thanks. I’ve had some practice, that’s for sure. You should definitely try them again. You’d like the little ones. Of course, your big tart was beautiful, too! 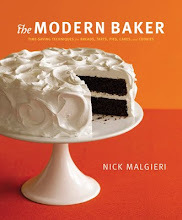 Stunning…I love the thought of serving something that is stunning…and eating it as well. Those look so good. My favorite things are those with fruit…these qualify without a doubt! Pastry Cream mix??? I had no idea….sounds like it was a hit. I bought the Pastry Cream mix for something a while back — Bavarian Cream Cheese King Cake, I think. I love it and always keep it on hand now. They would be especially nice with a little splash of red — raspberries or strawberries. I can’t wait to make these again. I think I’ll do “patriotic” colors for Memorial Day.